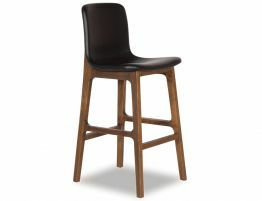 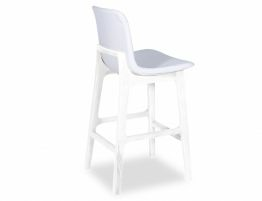 This modern Ara Kitchen Bar Stool offers the perfect seating option for your home offering a fresh, modern look. 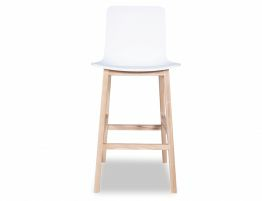 With a precise construction of materials, the Ara Kitchen Stool is made for your busy everyday life. 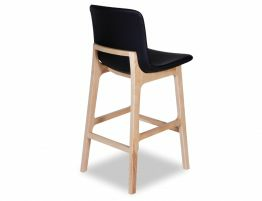 With a well moulded curvaceous white plastic seat that is both comfortable and durable, positioned on the natural ash solid timber frame with foot rest, this reformed counter stool proves to be both practical and design worthy. 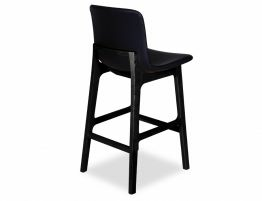 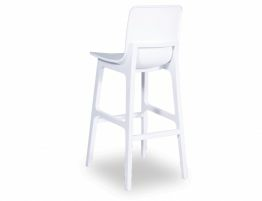 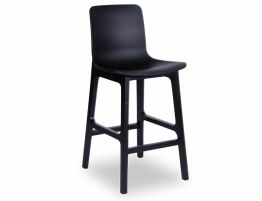 Works extremely well for commercial projects with a high set stool available.